Working on just one or two of these areas at once will have an impact on your life in a positive way, it can give you more time to do the things you love and less time running around trying to remember everything you need to do. It will take time and practice to copy these techniques; remember, not everything will work for everyone, it is about trial and error and finding the systems which work for you. Building habits and routines into your day will help you get things done! If you are looking for tips on how to become more organized the idea of copying someone who is organized will help you understand what they are doing and why it works! Sharing calendar information is important, otherwise, it becomes difficult to know when things are happening, if you don’t discuss the different calendar arrangements for all your immediate family. There are different ways you can choose to do this, there are computer software programs that allow multiple access, and this allows you to add in the information. Alternatively, you can have planning meetings where you go through your calendars together and make notes as to commitments. Planning is the key to any organization, you need to plan tasks, events, and life in general. You can choose from a multitude of different devices and applications in which all have similar goals, to make your life easier and bringing organization into your life. The two main categories are paper-based and electronic, depending on what works for you will depend on where you look for your planning tools. I prefer paper-based products for my planning, it just works for me! Don’t leave things lying around, get into the habit of putting them back where they belong. It then stops an additional process by saving you time because you aren’t going back over to do a task that you left unfinished in the first place. One great concept that I love about being organized is the lack of wanting new things. You have things organized and buying more just isn’t necessary. If you do buy something, you have rules in place that something has to go if you bring something new into your home. Everything has a home in your home. If you have designated places for items then you know where they belong and where to return them to when you have finished with them. Cleaning and organizing don’t automatically go hand in hand. You can have an organized home that is not clean, the same as you can have a clean home that is completely unorganized. So, getting the best from being organized and having a clean home sometimes is difficult to manage. 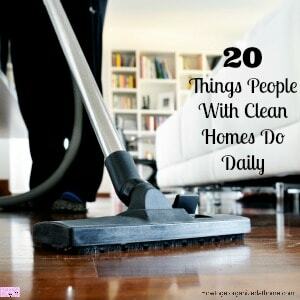 However, if you clean frequently it becomes less of a task and more something that you do automatically. Duplications are not something that you should have in your home, it is not conducive to an organized home and life. Therefore, if you have any duplications getting rid of the excess is important. Don’t be afraid of empty spaces. It is possible to have empty spaces in your home. You don’t have to fill them full of stuff. If there is nothing to go there, then be happy with the space you have created. Knowing that you have space is good, it doesn’t mean that you need to fill it with new things or items, learn to love the emptiness of a space. 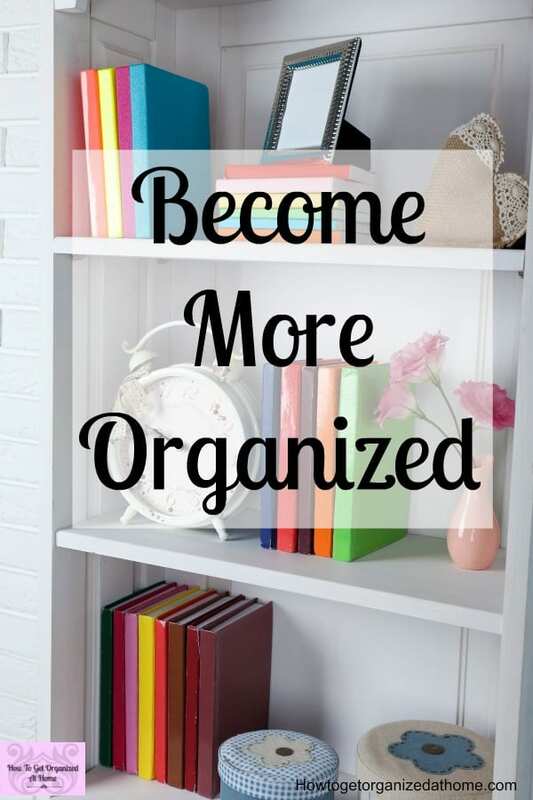 Organize to make your life easier and not more difficult. Systems that are too elaborate won’t work long-term and they will quickly fail, leaving you in an unorganized mess. Simplicity is the key to a successful organization system. If you reduce the amount of clutter that you have out on display, will make your home look more organized. There is nothing worse than a pile of paper on a work surface that screams chaos and can affect how you feel about your home. 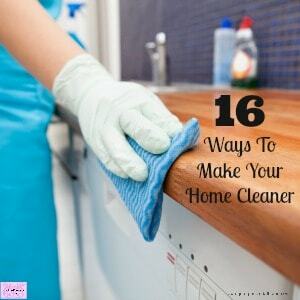 Keeping work surfaces clutter-free makes your life easier when it comes to cleaning too. Learning to say ‘no’ is important for those people who are struggling with organization. If you take on too many tasks and commitments it becomes difficult to concentrate on the important things in life and you stretch yourself too thin. By saying ‘no’ you give yourself the power to do things that you have committed to. Knowing where you are heading in life. Organized people look forward and plan their life and their goals taking the right steps in their life to head towards these goals and dreams. Looking at what you want from your life and where you want to focus your goals is a great way to ensure that you are heading in the right direction to meet these goals and dreams. 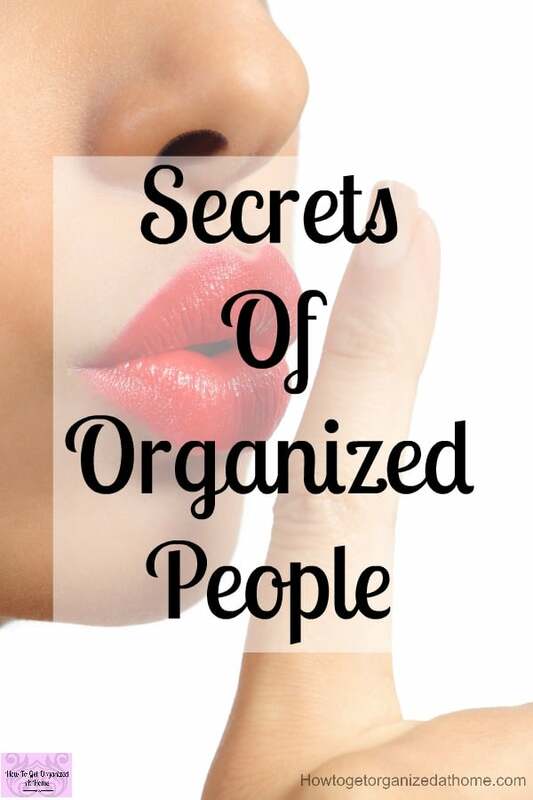 The secrets of organized people aren’t really a mystery, it is more to do with how they use them to organize their lives. It’s in the power they have over their own destiny and ability. There is a lot to do with time management skills and being able to plan your day, so you use it effectively. We all have the same amount of time each day, it’s how you use it effectively to your advantage that makes each second count! 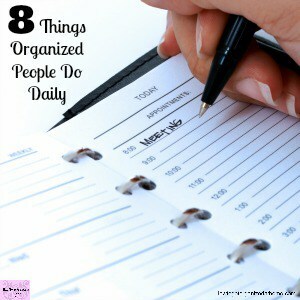 It’s simply the more organized you are the more effectively you are using your time!